The Jokari knowledge database collects our answers to the many questions that have been provided to us on the subject of stripping. Jokari´s wiki provides answers to us asked questions about stripping. How is the function of that tool? Our application videos show simply and clearly how to use the tools correctly. When stripping the task is to remove the insulation of an electrical conductor so that it is possible to get an electrical connection. This is possible, for example, with strippers, Micro Precision Wire Strippers and the special blades of some JOKARI cable strippers. Traditionally, a Pair of Pliers consists of a pair of grips, which are pivoting around a centered bolt. The one side of the tool form the handles, the other the working head. The working head of JOKARI Stripping Pliers contains a lever construction, which in one move of the user‘s hand presses cutting knives onto the cable sheathing and pulls the sheathing off from the conductors inside. 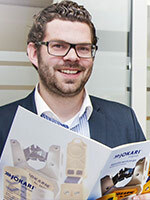 JOKARI has Stripping Pliers that automatically adjust to the cable needs as well as manual adjustment variations. Why do you need the AS-Interface cable (AS-i)? 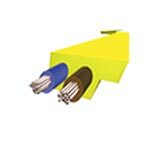 AS-Interface cable is an Industrial cable with internationally standardized square, step-shaped design and dimensions, made from a very tough PUR or TPE sheating around 2 insulated conductors. It is used in field bus communication, mainly as Actuator / Sensor system based on EN 50295 and IEC62026-2. 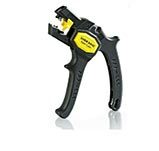 For stripping the sheathing the JOKARI AS Interface Stripping Plier 20070 is recommended. What does the abbreviation AWG mean? AWG means „American Wire Gauge“ and is being used mainly in the USA. Like the metric cross section AWG defines the frontal area of the individual wires of conductors. AWG numbers become smaller, the larger the diameters are. 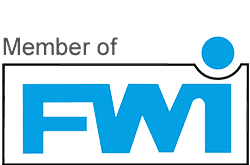 The differ- ences between solid and twisted wires in AWG are larger than in millimeter units, and AWG sizes do not exactly match european metric wires. 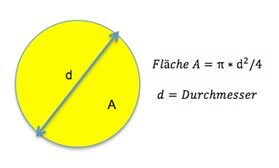 Therefore our AWG indications are only as near as possible to the basic metric figures. For what do we need coax cable and how they are stripped? Coaxial Cables are consisting of a pair of concentric positioned conductors. The inner conductor can be either solid or stranded. It is covered by a dielectric insulation material, around which the second conductor in form of an aluminium foil or mesh protects the inner conductor against parasitic induction. This shielding is covered by a second insulation sheath. 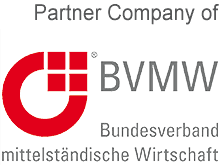 Coax cables are used for a distortion-free transfer of high frequency bandwidth transfer signals , e. g. in cable-TV or ethernet systems. The Secura No. 1 (part no. 30600) strips both, the outer sheathing and shielding as well as the dielectric insulation to prepare a professional connection to coax plugs and connectors. What is a Outlet Socket-Stripper? 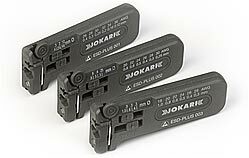 JOKARI Cable Strippers provide two half-pipe plastic bodies, which are linked on one long side with hinges. Stripping blades will either be on one or both ends of the cable stripper depending upon the pattern and style. After opening a closing catch, the body opens alongside, and the cable can be inserted by placing the knives at the position, where the insulation has to be cut. Closing the body applies a slight pressure to the knives cutting into the sheathing. After the blades have cut the outer sheathing, simply rotate the body of the cable stripper a quarter turn to the left and right. This prepares the sheathing to be broken and to be pulled off. Some Cable Strippers offer 2 sets of blades to work on coaxial cables with one tool, and some Cable Strippers offer addi- tional wire stripping notches. Common to all is that there is no need to adjust the tools to cable and wire diameter. Round and Flat Cable consist of some insulated conductor wires, which are coated by a plastic or rubber sheathing. To get the conductors ready for an electrical connection, the sheathing has to be taken off the cable end to expose the conductors. 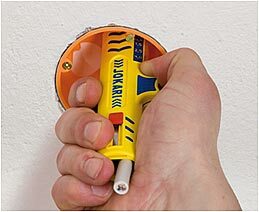 For stripping a cable sheathing we recommend JOKARI Cable Knives, Cable Strippers and some Stripping Pliers. ESD stands for Electro Static Discharge. 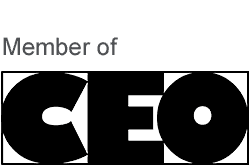 ESD is the internationally accepted generic term for complex topic "Protection of electronic devices from electrostatic discharge." Numerous production departments of the electronics industry must be protected against electrostatic influences. 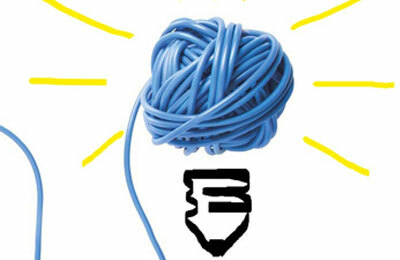 Among other things, the use of soecial tools is required, the special plastic can derive generated static electricity. 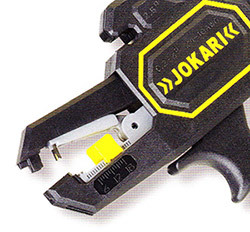 JOKARI provides therfore all the ESD Plus Micro Stripper. What is the difference beween a fine-stranded conductor and a solid, stranded conductor? Made of a single, solid wire, usually copper, which is insulated by a plastic insulation layer. A set of 2 or more conductors form a sheathed multicore cable. Used e. g. in building installation and other surroundings, where a strong and compara- tively rigid cable construction is required. Used for fixed installation purposes, it consists of a number of thinner wires, which are stranded to a string, which is more flexible than a solid conductor. Assembled from a greater number of individual, finer wires, the conductor respectively the final cable are used, whereever the cable needs to be much more flexible, but also a good stability is needed, e. g. to connect fixed equipment like ma- chines, larger household equipment etc to mains. Built from still finer wires, this conductor type is being used for cables, installed at all movable electrical equipment, e. g. from TV to hair blowers. What is a JOKARI Knife? A JOKARI-knife is a Cable Knife which is made by the Company Jokari in Germany. It is a modern cable knife consisting of a plastic handle, a holder for the cable and a knife for cutting the cable sheath by a circular section. 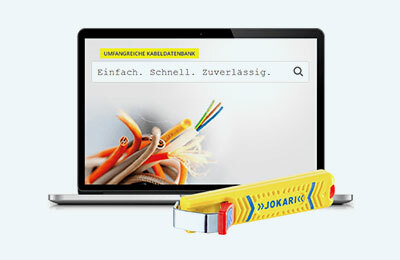 The original Jokari Cable Knife was developed and patented by Jokari-founder Josef Krampe more than 40 years ago. Today Jokari knife stands out positively from the numerous copies of its durability (TIN-coated blades), ergonomics and quality from. A conductor consists of one ore more metal wires inside an insulation layer to transport electrical energy. The international standard IEC 60228 defines all criterias around conductors, amongst them the various basic types: class1- solid, class 2 - stranded for fixed installation, Class 5 - flexible and class 6 - very flexible. 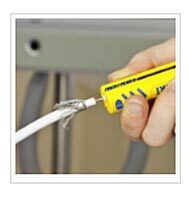 Conductors can be used alone or assembled from 2 and more inside a sheathing as a cable. What is the difference between cable diameter and cross section? The cable diameter is the outside diameter of a pipe. The size of a cable is about the maximum diameter, measured on the outside insulation, determined (unit: mm). The size of a conductor is defined by the frontal cross section of the metallic part of the wire, without insulation. Contrary to a solid wire, the cross section of stranded wires is the addition of the individual cross sections of all the fine wires forming the stranded string. As this string also contains some spaces between the fine wires, a stranded wire may be up to 20% larger in diameter than a solid wire with same cross section. In Europe the cross section usually is indicated by „mm2“. What is a sensor cable? Sensor Cable is being used greatly in manufacturing systems engineering. It can be found in the robotics and logistics indus- tries. The operating conditions are often difficult, as the cables are being exposed to dirt, humidity, aggressive materials, hot or cold temperatures and extensive movements. Due to these extremes, the demands to the cable sheathing und conductor insulation materials are extreme as well. These cables can be highly resistant, flexible and tough. 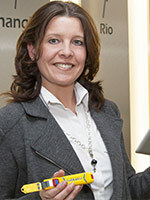 They use materials such as PUR, halogen-free PUR, or TPE. These can be stripped by specially designed strippers – a speciality of JOKARI. What is the correct stripping length? The correct stripping length is an important ingredient for the perfect contact and is dictated by the nature of the proposed connection. Manufacturers of, for example, terminals, cable lugs or ferrules mention it on the appropriate packaging. In many Jokari wire strippers you can set the desired stripping length.